Williams and Associates, the agent for Nichols, submitted a preliminary plat of the project on Dec. 30, and that will be reviewed by the Development Review Committee at its regular meeting in the Courthouse Annex tomorrow morning. That committee reviewed a preliminary site plan for the Thrive Senior Living Center at its meeting on Dec. 13, but Nichols cannot get building permits for the assisted living facility until the Resurgence Park plans have been approved. 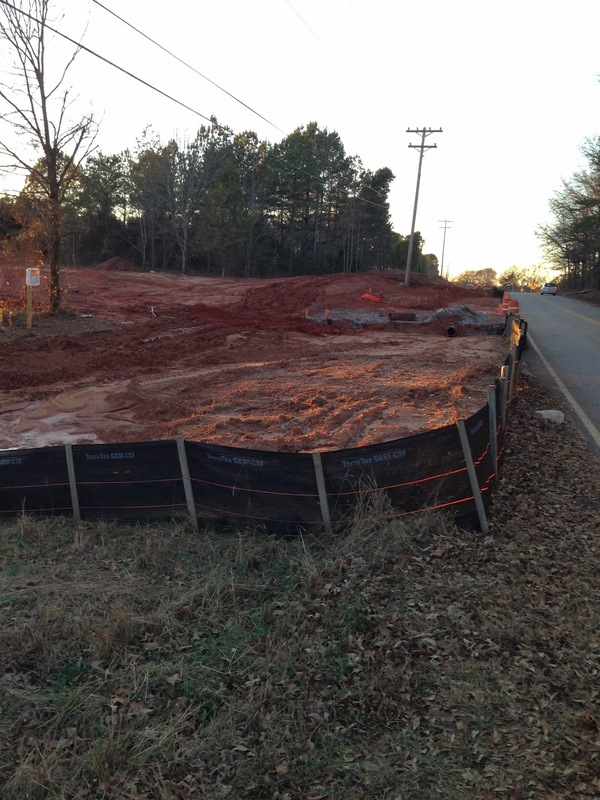 The Development Review Committee, at its Dec. 13 meeting, also examined a preliminary site plan for The Falls of Oconee project at the site of the closed Pure gasoline station on Old Macon Highway at White Oak Drive. That plan show a five-building complex surrounding a central parking area. The existing building and parking lot will be razed and removed. Each of the five new buildings will be single-story construction, with square footage for the five buildings totaling 28,150. A boardwalk down to and along McNutt Creek is shown connecting to one of the buildings. The boardwalk would be just downstream from a dam for an old mill pond. As of Friday of last week, owner and developer Athens Ridge Commercial Properties LLC of Bloomfield Hills, Mich., had not responded to staff comments made at that meeting regarding the The Falls of Oconee plan, according to B.R. White, director of the Oconee County Planning Department. Those comments included the observation that one of the buildings was proposed to be inside the flood plane and that the proposed boardwalk does not meet county code. In a letter to the county Utility Department on Nov. 25, Ken Beall of Beall and Company, representing the developer, said that no tenants had been identified for the complex. A sign board in front of the project late last year indicated that the complex would include restaurant, retail and office space. The Falls of Oconee is a companion project to the massive student housing complex being built just across Old Macon Highway. That complex is called Athens Ridge. The Oconee County Board of Commissioners on Aug. 6 rezoned the 23 acres at the corner of SR 316 and the Oconee Connector for the Resurgence Park medical and office complex, including the Thrive Senior Living facility. Planning Director White told me last week that the county will require details of the plans for the land being set aside for a hotel before it can approve the Thrive project. The dermatological medical center currently is under construction. Sewage from Resurgence Park will flow under SR 316 and to a pump station at Mars Hill Road and Barber Creek. From the facility on Barber Creek, the sewage will be pumped via a series of stations to the county’s Land Application Site on Rocky Branch Road. Chris Thomas, Utility Department director, told me in August that the Barber Creek pump can handle only an additional 5 gallons per minute, and the total Resurgence Park project will require just less than 16 gallons per minute of capacity. The skin cancer facility will not require an upgrade in the pump, Thomas said, but it is likely the assisted living facility will. Thrive has facilities in Texas, Louisiana, Florida and Georgia, according to its web site. The two Georgia facilities are in metropolitan Atlanta. In Georgia, Healthcare Facility Regulation (HFR), a division of the Department of Community Health (DCH), is responsible for the licensing, certification and oversight of various health care facilities and services. The Development Review Committee is made up of six members representing the Planning Department, the Public Works Department, the Office of Code Enforcement, the Department of Environmental Health, the Utility Department, and the Emergency Management Assistance/Fire Department.